I wish we could have kept that great sounding instrument….having a guitar business lets you enjoy these instruments often, but it makes no sense on keeping them when somebody really interested wants it….otherwise we´d keep most of the vintage ones. 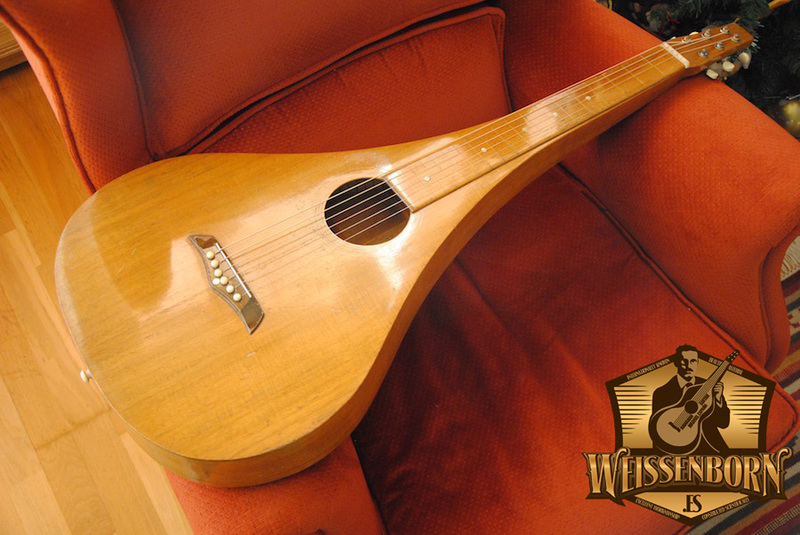 This is the second original teardrop Weissenborn that we´ve had and sold so far (there are only about 15 known to exist). The one we sold first was the popular style 1.5, in terribly bad condition, but incredibly well restored by Tony Francis. This one didn´t need any extra work (almost, as it had a bridge slightly unglued that German luthier Michael Götz will handle).